Even before the second hand of our clocks and watches struck midnight on January 1, 2019 the celebrations had already started to usher in a new calendar year. The warming up began the last day of 2018, as revellers, observers, and the laid-back, awaited the start of a new year. For many, it was time to party, get drunk, for others it was time to attend church watch night services, and what have you. 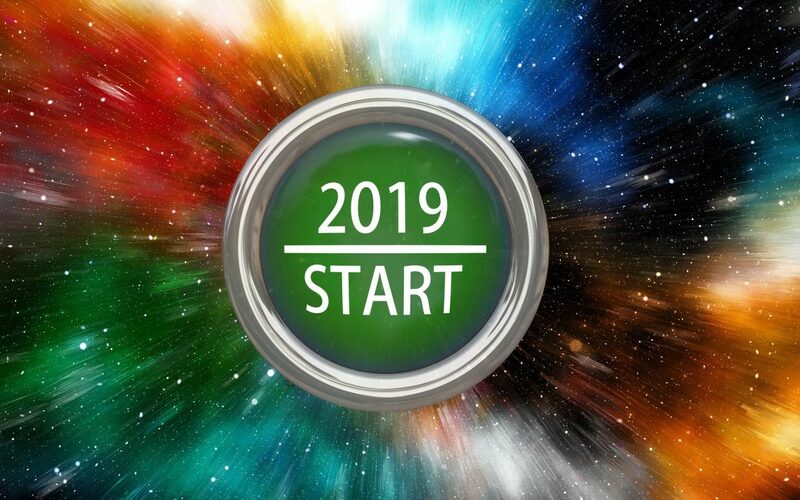 As people welcomed 2019, they anticipate all, or most of their troubles, would disappear by some kind of magic wand, and the best way to embark on a brand new year would be to celebrate in some way. They make resolutions and pledges to prove their point notwithstanding the futility of that annual ritual. In time past, these were the same practices the ancients offered to the gods, unbeknownst to most people nowadays. The realities of life might have been forgotten for a few fleeting moments, come the day portion of January 1, but by January 2, they resurface to bring grim reminders of hopelessness and disillusionment that exist in our world. The hard, cold facts, are the beginning of a new calendar year, (not God’s New Year, which begins in the spring), by the mere changing of a date altered nothing. What it will change is this; you will be one year older, according to what is written on your birth certificate. Physically, your organs and whole body function would have slowed somewhat as each day their life span gets shorter. To take a step further, with one more year added, it will mean change on how you live in this society. It could mean retirement from a job; the age to enter the workforce, graduation from school or university, marriage, inability to take care of yourself because of a diseases or sickness, and eventually it could be the year you die. Most of us don’t like to talk about death. We fear the unknown or the unpredictable, yet we cannot escape that enemy. Whether you are young or old, it doesn’t matter; this is one enemy that comes visiting without discriminating. In your celebrations to bring in the New Year, how many do really think 2019 could be their demise from this world? It would be interesting to see the numbers. Equally interesting would be to see how many have the Creator in mind as the Second Coming of Jesus Christ approaches. 2019 should serve to remind all of us that we cannot stop time. Time does not stand still. The Bible warns us about “redeeming the time because the days are evil,” (Ephes. 5:16). You might have ushered in the new year already, but there’s still time, and that time is NOW, when you must consider seriously what lies ahead of you in this life, and the life to come. If you believe the Great God, YAHWEH, is calling you, then don’t waste time, answer His call. He’s calling you for a great purpose. We are here today, gone tomorrow. Invest your time for the future, not in the hopelessness that prevails in the human race. We need Jesus, who died for our sins, and without Him, we are nothing! Think seriously! 2019 could be your year to depart this temporary life. Let’s redeem the time we have left here on planet Earth. For more on this subject, download FREE our booklet, MAN’S AWESOME DESTINY.